As we approach the Evolution Leadership Conference on Oct. 2, participants of our 10 New Leaders program have been sharing how they find their authentic Purpose. So far, we’ve heard from Adam McGregor, Integrator at Walters Services Inc; Kimberly Preske, Outpatient Therapist for Healing Hearts Counseling Center, LLC; Alicia Frederick, Branch Manager and Vice President at M&T Bank; and Gillian Byerly, Executive Director for Girls on the Run – Capital Area. This week, we welcome a video submission from another emerging leader – Mike McHenry, VP of Service for Enginuity LLC. Mike finds his authentic purpose spending time on the confluence of things that he’s really good at – and only he can do. 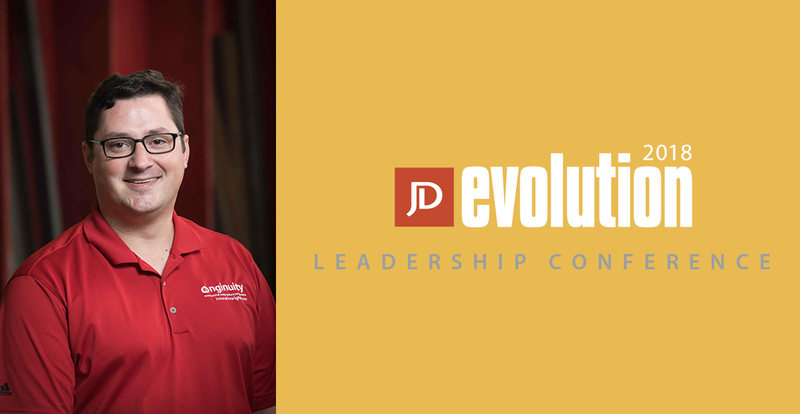 Meet Adam, Kimberly, Alicia, Gillian and Mike at the Evolution Leadership Conference on Oct. 2. Click here for event information and to purchase tickets. Also, check out this clip from our afternoon Keynote Speaker, Jason Young!